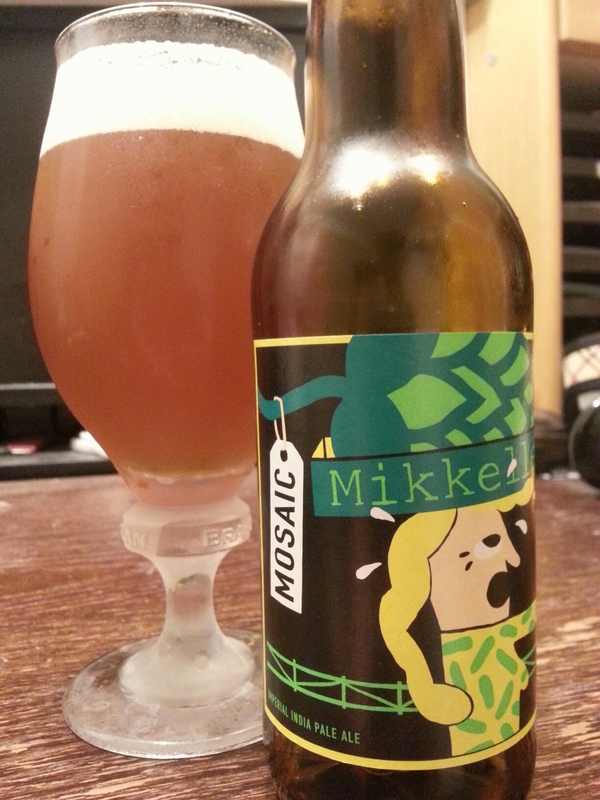 Imperial India Pale Ale Mosaic – Mikkeller (Copenhagen, Denmark) | Justintoxicated. Visual: Pours pale amber with a decent creamy head, thick ringed retention, half sticky fine lacing, micro bubbles scattered around. Finish: almost salty, alcohol bitter, bitter peel hops, barley malt exhale. Summary: Wow, solid. Great mouthfeel, intense complexity, big body and hard hitting. A very good sipping and contemplating beer. Mostly dense malty flavours here if that’s your thing, whereas I’m more of a spice-floral-fruity-bright kind of beer drinker.